This year, the Isle of Man Film Festival is bringing back “Movies Under the Milky Way” by screening Robin Hood Prince of Thieves on the Friday of the main weekend at the iconic Castle Rushen. Thanks to the generosity of our event partners, Manx National Heritage and ELS, we have been allowed to hold a matinee show of another classic the following day. 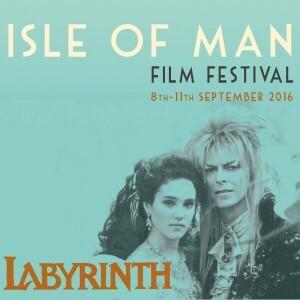 As a tribute performance to the late, great David Bowie, we invite you to join us at 2pm on Saturday 10th September as we present the fantastic 80’s family fantasy adventure ‘LABYRINTH’! Tickets will go on sale at the end of the month.